Background/Purpose: To date, most studies of gout and cardiovascular disease have been cross-sectional or retrospective, and have addressed the outcome of acute coronary syndromes. Less is known regarding the impact of gout on basic vascular health, including arterial endothelial function. We asked whether initiating gout treatment with colchicine and urate-lowering therapy (ULT) reduces inflammation (CRP), and improves endothelial function as measured by brachial artery flow-mediated dilation (FMD). Methods: Gout patients initiating treatment with their physicians were enrolled. Physicians agreed to follow a care strategy that sequenced colchicine and ULT (allopurinol or febuxostat) initiation. Demographics and cardiovascular risk factors were recorded, and CRP and FMD were measured at baseline, after 6 weeks of colchicine (0.6 mgs daily), and again 4 weeks after ULT had been titrated to clinical target (<6.0 mg/dL; <5.0 mg/dL for patients with tophi) in the presence of continuing colchicine. Results: 34 untreated male gout patients (mean age 57.9 years) were enrolled. To date, 32 have completed post-colchicine, and 22 have completed post-ULT assessments. CRP decline was observed from baseline to post-colchicine and further to post-ULT (total change from baseline, 0.207 mg/dL) (Figure). Overall we observed no net FMD improvement post-colchicine, but patients who experienced CRP reduction post-colchicine had higher rates of FMD improvement than CRP non-responders (58.8% versus 25.0% FMD response). We stratified the overall cohort based on smoking status, and observed greater rates of post-colchicine improvement in both FMD and CRP in the non-smoker, compared with the smoker group. FMD improvement occurred in 60.0% of non-smokers versus 38.1% of smokers; CRP improved in 75% of non-smokers versus 52.4% of smokers. Non-smokers with CRP improvement were also more likely than non-smoker CRP non-responders to demonstrate FMD improvement (66.7% versus 50% response rate). Baseline to post-ULT trends in CRP improvement were also more pronounced in the non-smoker group, with 75% of non-smokers versus 56% of smokers experiencing a CRP decrease. Analysis of FMD outcomes in patients post-ULT is ongoing. Conclusion: This prospective observational pilot study suggests that treatment with colchicine and ULT is associated with an overall reduction in CRP. Among patients whose CRP declined, FMD also tended to improve, suggesting a common beneficial effect. Smoking appears to hinder improvement in inflammation and vascular function in response to colchicine and ULT. Data from the third and final (ULT) stage of the study are still being collected with analyses ongoing. Larger and longer studies may be warranted to confirm the anti-inflammatory and pro-vascular benefits of colchicine and ULT in patients undergoing gout treatment initiation. Disclosure: T. Igel, None; A. Garza Romero, None; V. Pike, None; S. Katz, None; B. Shah, Takeda, 2; I. Dektiarev, None; S. Krasnokutsky Samuels, Crealta/Horizon, 5; M. H. Pillinger, Takeda, 2,AstraZeneca, 5,Crealta/Horizon, 5. Igel T, Garza Romero A, Pike V, Katz S, Shah B, Dektiarev I, Krasnokutsky Samuels S, Pillinger MH. Impact of Gout Flare Prophylaxis and Urate-Lowering Therapy on Endothelial Function, Smooth Muscle Responsiveness and Markers of Inflammation: Results of a Prospective Observational Pilot Study [abstract]. Arthritis Rheumatol. 2016; 68 (suppl 10). 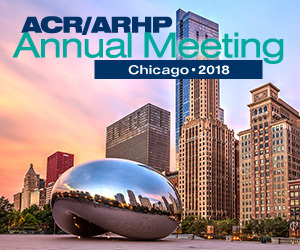 https://acrabstracts.org/abstract/impact-of-gout-flare-prophylaxis-and-urate-lowering-therapy-on-endothelial-function-smooth-muscle-responsiveness-and-markers-of-inflammation-results-of-a-prospective-observational-pilot-study/. Accessed April 22, 2019.